People who fill out a CheckSmart application are looking to work for a company that supports those who need support financially in the short term. During tax season, they also offer accountants and aid in making sure that everything is filled out correctly. Links to apply for jobs at CheckSmart are at the bottom of the page. 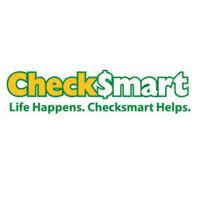 CheckSmart is run by Community Choice Financial, who took them over in 2011. Previously, CheckSmart was known as Buckeye Check Cashing, Inc. but they changed their name at some point after 2006 due to a class action lawsuit that was then settled out of court. Since then, the company has had a good track record with their customers and has grown in popularity. This company is geared towards making sure that Americans who have issues with their financial situation have a place to go where they can be resolved. As they strive to help working Americans, they place most of their stores in neighborhoods where CheckSmart can see people need their help. In a world of tightened credit standards, people with CheckSmart jobs offer a way around that. By offering their customers solutions to their immediate money needs, this company hopes to give them an opportunity to build up credit so that they get the financial services that they need for the long term. If you’re interested in a CheckSmart Career at the corporate level, you’ll actually be working for Community Choice Financial. You could be working with any of their twelve subsidiaries to make sure that everything is working properly and that there are no issues with any of their stores. At the local level, you’ll be working with customers to fulfill any of their short-term financial or car insurance needs. There are locations in Michigan, Indiana, Ohio, Virginia, Kentucky, Missouri, Kansas, Utah, and Arizona. Within those states, there are generally multiple locations for you to choose from. How old do you have to be to work at CheckSmart? Age requirements vary by position. As you browse CheckSmart jobs online, make sure to read all position requirements closely as some positions require various certifications, degrees, or experiences. Those with CheckSmart careers know that the stores are run by the corporation, because of that, most stores maintain the same hours. Generally, stores are open Monday through Saturday from eight am until eight pm. Sundays are where hours vary. Generally, the stores run on reduced hours, but some CheckSmart locations are closed. Customer Service Representative – As customers come in for service, you will take care of what they need including processing loans and check cashing transactions. Keeping a record of the money that exchanges hands is a key part of this position. Compensation is around $40,000 a year. Loan Specialist – Having a good business relationship with customers and fellow staff members is a major part of this position. You’ll work with customers to inform them of their short-term loan options for their short-term financial needs. Compensation is around $20,000 a year. Licensed Insurance Agent – You’ll work with closely customers to give them the automobile insurance that they need. When there aren’t people who need insurance, you’ll become a Loan Specialist and fulfill those needs as necessary. Compensation is around $30,000 a year. Customer Relations Manager – Making sure that you have a good team that is willing to work hard to serve customers is what this positions is all about. You will work to make sure that there is a positive and respectful environment in the office and around customers. Compensation is around $50,000 a year. Store Manager – By assigning tasks as needed to staff members and fellow managers, you’ll make sure that everything gets done in a quick and timely manner. You will make sure that the store meets and surpasses the sales goals. Compensation is around $50,000 a year. Why do you want to work for CheckSmart? This is an extremely common interview question, so you should be prepared for it. Talk about what drew you to the company, whether it was the culture or benefits, and why it’s your first choice in places to work. What experience do you have? Highlight all of your relevant experience. If you’ve worked in customer service, make sure to talk about it. Use plenty of examples from any previous jobs that you’ve held to enhance and support any claims that you make. Where do you see yourself in the next few years? Your interviewer wants to know if you see yourself with the company. Make sure to be realistic in your career expectations, but let them know you’re willing to take on extra challenges and responsibilities in order to move up in the company. As this company relies heavily on customer service, you may be asked this question in the form of a hypothetical situation: How would you take care of an upset customer? Be practical and realistic as you walk your interviewer through the steps you take to turn the customer’s experience around. Several positions may require you to sit or stand for long periods of time so you may be asked this question: Is there anything that could keep you from doing your job? Your interviewer wants to make sure that you can produce your best work, so make sure to talk about anything that could stop you from doing your job. How to apply for CheckSmart online: decide if you’re going to work at the corporate level with Community Choice Financial or at the local level. Follow the first link to read job descriptions and select the region you want to work in before filling out your CheckSmart application. There is no printable application for CheckSmart. Before attending your interview, do research on CheckSmart and the industry in order to have a list of questions that you can ask. This may seem excessive, especially for an entry level position, but it will place you in front of the other candidates as it shows that you think ahead. Your interview will be in a semi-formal setting, so you should dress in business casual. If you’ve applied for a managerial position, a suit would be appropriate. Have a positive and friendly demeanor when you attend your interview, it will give a good impression. Make sure to show gratitude at the opportunity to interview with CheckSmart. Afterwards, make sure to inquire about the best way to check on your hiring status. Few applicants will learn if they got the position they applied for as CheckSmart will want to screen all candidates before making a final decision. Fifth Third Bank: Checkout the application page for work at Fifth Third Bank. KeyBank: KeyBank offers opportunities for both, beginners and experienced roles. Edward Jones: Checkout the application page for work at Edward Jones. Charter One: See our guide for careers at Charter One. Citibank: Visit the job application for Citibank to apply today.